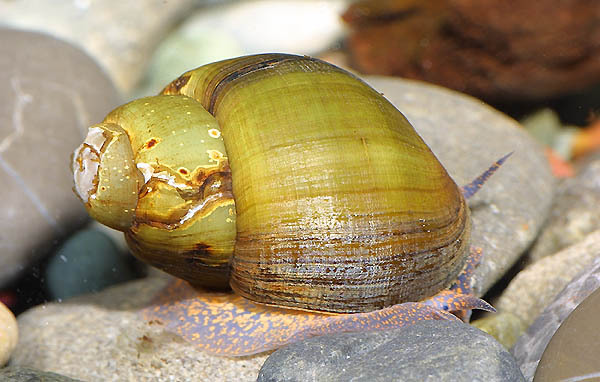 This webpage was created to supply information on the freshwater snail Campeloma decisum, also know as pointed campeloma. There seems to be little information available regarding most gastropods. To help promote a better understanding of our fellow Wisconsin snail populations, this site provides information about Classification, Habitat, Adaptation, Nutrition, Reproduction, and Interactions regarding Campeloma decisum. If you are interested in finding out more about the land snails of Wisconsin take a look at WI Land Snails. If learning about a different organism sparks your curiosity check out Multiple Organisms. If you think that the University of Wisconsin- La Crosse sounds like a pretty exciting place please take a minute to explore our UW-L Homepage. If you have any questions, comments, or concerns feel free to Contact Me. I would love to get your feedback. Now...time to get your brain cells pumping and your hippocampus smiling; it's time to LEARN! Meet Campeloma! She would love for you to follow her throughout this website to learn cool things about her and to meet the rest of her family! Join her over to Classification where Grandpa Eukarya will fill you in on all of Campeloma's family and relatives.